The idea of establishing Eurofertil originated in Germany in 1999. 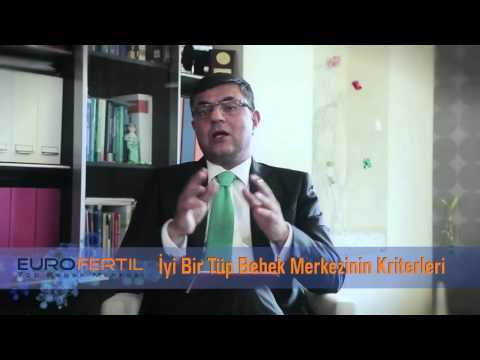 Even the idea of founding a private centre offering services only in infertility diagnosis and treatment was not on the agenda when Eurofertil In Vitro Fertilization Centre was founded in Istanbul in the lead of Medical Director Hakan Ozornek, M.D. who was working in In Vitro Fertilization Unit of Gynaecology Clinic at Dusseldorf University. As the first and only centre that offers services about reproductive health and in vitro fertilization, Eurofertil allows special patient groups to enjoy the superior and privileged services provided with a special approach as is done by its peers in the other parts of the World. Eurofertil In Vitro Fertilization Centre that obtained license on April 2001 helped more than 25000 families to enjoy the happiness of having a baby and completed their family picture thanks to pregnancy rates achieved above the global standards for 16 years. It is the only centre that offers real personalized treatment services and different in vitro fertilization treatment options to different patients. In vitro fertilization treatment is applied since 1978. ‘Personalized treatment’ approach is becoming more and more popular in the in vitro fertilization treatment that is applied for nearly 40 years. Eurofertil In Vitro Fertilization Centre based on the visionary approach of Op. Dr. Hakan Ozornek maintains its position as the first centre that introduced ‘personalized treatment’ approach; provides the prospective parents to select the most suitable option among different treatment options; and implements the selected options. What is ‘Personalized Treatment ? As the ‘infertility’ rates increasing around the world, the number of patients applying for In Vitro Fertilization Treatment also increases. Infertility may be caused by numerous reasons and these reasons have different aspects specific to the condition of each patient. Different characteristics of prospective parents, reproductive health of couples, in brief, any factor that may cause infertility would affect the treatment process. In parallel the principle that ‘If you don’t ask the right question, you would not get the right answer’, causes of infertility for each couple or individual and the relevant factors are different. First, you must determine your question. At Eurofertil In Vitro Fertilization Centres, prospective parents are examined in detail about reproductive health, and then all factors that prevent them from having a baby are listed. The success rate of the treatment regimen selected in parallel with different characteristics of prospective parents is, naturally, higher at Eurofertil compared to other centres. Personalized treatment tailored for the patient and holistic treatment approach for couples allow Eurofertil In Vitro Fertilization Centre to achieve success rates above the global standards; in other words, they allow new families to have a baby and make their dreams come true. A Eurofertil baby is born within each six-hour period and joins our ever-expending family. Patients can request for a treatment prescribed to another prospective mother or ask prescription of a medicine that was previously given to another prospective mother. At this point, specialists assume an important responsibility which is the communication of the factors that may be different for each woman including the egg reserve and quality or immune system of women. Therefore, communication between the doctor and patient and trust between the In Vitro Fertilization Centre and prospective parents is of great importance. At Eurofertil In Vitro Fertilization centres, specific factors that cause infertility with patients who want to become parents are determined, and the optimal treatment regimen is selected to eliminate these causes. From that point on, prospective parents longing to have a baby are provided with detailed information on the type, timing, method of the treatment and the reason of choosing that specific treatment. One of the important factors affecting the success of In Vitro Fertilization is to make the patient feel safe and ensure that the patient gains awareness on what s/he will go through. As a representative of a tradition that is specialized in this field, Eurofertil In Vitro Fertilization Centre is aware of the great difference created in the psychology of men and women when they are informed about their physical conditions and problems they experience. Inevitably, tradition of specialization solely on in vitro fertilization and acting as the pioneer of the ‘personalized treatment approach’ brought about the new treatment options. Eurofertil In Vitro Fertilization Centre maintain its position as the only centre with pregnancy ratios higher than the average of Europe and the United States of America. Beyond any doubt, these success rates come from meeting the criteria that are attached importance by prospective parents who try to choose the best in vitro fertilization centre. Beyond any doubt, service quality is one of the most important factor that affects the decision while making a choice between In Vitro Fertilization Centres. Eurofertil In Vitro Fertilization Centre’s Service Policy is to make sure that prospective parents suffering from infertility problem and longing to have a baby have an excellent experience so, they remember this important and sensitive period as a good memory. Each department in involved in in vitro fertilization process consists of specialists and highly-qualified human resources and they continue working without compromising the service quality at every stage of the treatment, as a part of a centre that implemented the personalized treatment approach for the first time in Turkey. The idea of establishing Eurofertil originated in Germany in 1999. As the first and only centre that offers services about reproductive health and in vitro fertilization, Eurofertil allows special patient groups to enjoy the superior and privileged services provided with a special approach as is done by its peers in the other parts of the World. Eurofertil In Vitro Fertilization Centre obtained its license on April 2001 touched the life of more than 25000 families and helped them hold their baby thanks to the pregnancy rates above the global standards and the core team that did not change for 20 years. All employees that are members of Eurofertil Family are dynamic, competent and experienced in their respective fields, and they always show a friendly approach. Medical Teams consist of doctors and biologists with international experience. Eurofertil Tüp Bebek Merkezleri, kişiye özel tedavi seçenekleri sunarken anne baba adaylarının bütçesine en uygun fiyatlandırma ve ödeme seçeneklerini de sunmaktadır. Diğer merkezlerde standart paket adı altında hastaya dayatılan ek hizmetler yerine hastanın durumuna özel ve sadece gerekli olan işlemler için fiyatlandırma ve ödeme seçenekleri baştan belirlenmekte. Önce hastanın tıbbi durumu ve en uygun tedavi planlamasının yapılması gözetilmekte sonrasında gerekli bütçelendirme en ekonomik olacak şekilde baştan yapılmaktadır. Eurofertil Tüp Bebek Merkezlerinin en büyük ayırt edici özelliklerinden biri de bazı merkezlerin aksine bebek özlemi çeken anne baba adaylarına sadece etkinliği tıbbi olarak kanıtlanmış tanı ve tedavi yöntemlerini uygulaması, faydası gerçekten kanıtlanmamış ve istatistiği verilemeyen hiçbir uygulamayı hastalarına hizmet olarak vermemesi ya da ödetmeye kalkmamasıdır. Eurofertil doktorları hasta kendisi talep etse bile hastaya ek maliyet getireceğini gördükleri ve faydası olacağını düşünmedikleri hiçbir tanı ve tedaviyi uygulamamaktadır. Etkinliği kanıtlanmış her tanı ve tedavi yöntemi dünya ile aynı anda Eurofertil Tüp Bebek Merkezinde tedavi gören hastalara sunulmaktadır. 46 kromozomun tümünü tarayabilen qPCR testi İtalya ve Amerika’dan sonra sadece Türkiye’de uygulanabilmektedir. Eurofertil Vitrifikasyon ile Embriyo dondurulmasında %95 üzerinde başarı oranına sahip yegane merkezdir. Anne baba adayları hayatlarının en önemli kararını alırken hassas bir süreçte yol arkadaşlarını ve rehberlerini de seçmek zorundadır. Bu sorumluluğun onuru ve bilincinde olan Eurofertil, tıbbi olarak faydası kanıtlanmamış hiçbir tedaviyi onaylamamakta ve hastalarına sunmamaktadır. Yayınları ve sunumları, uluslararası platformlarda, kongrelerde oturum başkanlıkları yapan, Dünya genelinde saygın bir yere sahip olan Eurofertil Kurucu Kadrosu; Amerika’yla Avrupa gebelik oranlarının üzerinde başarıya sahip olurken etik ilkelerinden asla ödün vermemiştir. Eurofertil hastanın durumuna özel tedavi belirleyerek, gerekli olmayan işlemler nedeni ile maddi ve manevi olarak yorulmasına engel olma prensibini taşır. Diğer Pek çok Tüp Bebek Merkezinin aksine doğruluğu kanıtlanmamış uygulamaların reklamını yapmamakta ve hasta üzerinde denenmesine de karşı çıkmaktadır. ‘Diğer merkezde var’ diyerek Eurofertil güvencesinde aynı işlemi yaptırma talebiyle gelen hastasına ise nedenlerini açıklayarak, uygulamayı en doğru şekilde yapabilecek tüm alt yapı ve teknolojiye sahip olmasına karşın etik olarak uygulanamayacağını iletmektedir.